During team flight didn’t notice lit occupied sign while Terry Pegula was using the bathroom. Overheard telling rookies that drag racing is legal in Hamburg. Borrowed the team’s concussion protocol tent for a backyard slumber party and returned it with a pole missing. On team flight to Baltimore one of his two carry-on items was a Weber grill. Arrived late from watching 60 Minutes interview Steve Tasker on disturbing rumors that in light of working TV preseason games with play-by-play announcer Andrew Catalon and sideline reporter Mike Catalana Bills’ management is pressuring him to change his name to Steve Catalasker. Used Brandon Beane’s e-mail address to order on eBay a Preparation H 3-pack. Caught using his meal per diem on scratch-off lottery tickets. 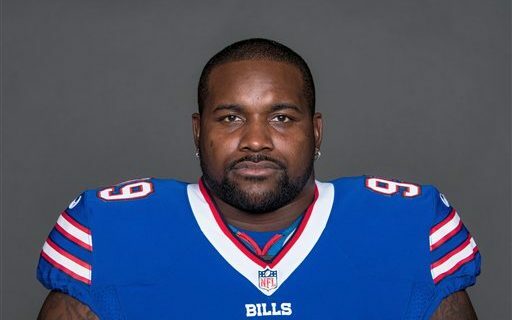 Lost track of time writing the forward to Mario Williams new book, The 7 Habits of Highly Infuriating Guys Who Wear Jockstraps at Work. Arrived late due to longer than expected Bills Mafia ceremony elevating Carl Paladino to senior Don. Got delayed at a Baltimore grocery store after falling for Kim Pegula’s gag memo requiring starters to bring a dish to pass. Lost track of time trying to get Sammy Watkins new mailing address in order to return the George Foreman Grill he borrowed from him last July. Shocked to discover Baltimore isn’t in Mountain Time Zone. Here’s where you can find more of Jeff’s humorous takes on Buffalo sports.